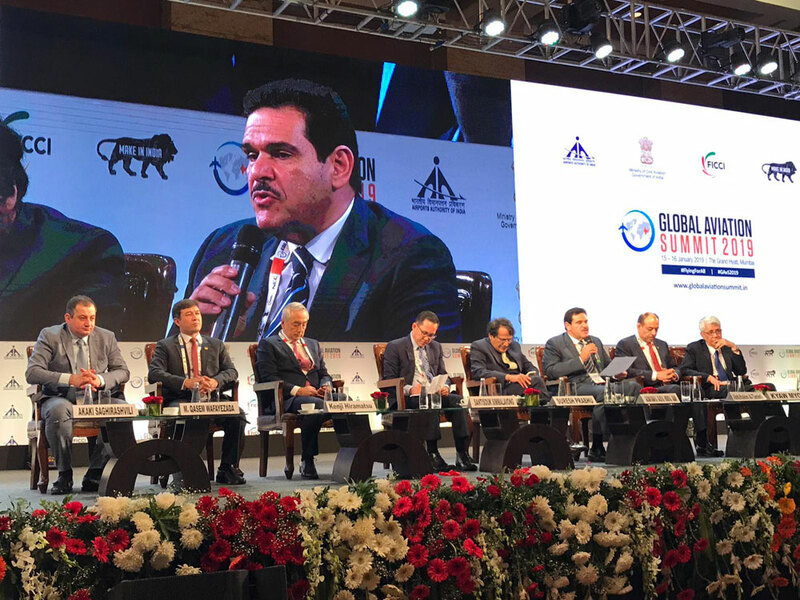 The State of Kuwait is participating in the Global Aviation Summit - 2019 being held in the Indian financial capital of Mumabi to share best experiences in the field and discuss ways of enhanced cooperation in civil aviation. President of the Directorate General of Civil Aviation (DGCA) Sheikh Salman Sabah Al-Salem Al-Humoud Al-Sabah is leading the Kuwaiti delegation. Indian Minister of Civil Aviation Suresh Prabhu opened the inaugural session, which was attended by Kuwait Ambassador to India Jassim Alnaajem and senior officials from Kuwait, in the presence of a number of foreign ministers and industry officials as well as President of Federation of Indian Chambers of Commerce and Industry (FICCI). The summit is discussing latest developments in the air transport industry and ways to enhance joint cooperation in civil aviation. Presenting a paper in the Ministerial Session titled 'Connecting the World', Sheikh Salman Al-Humoud explained Kuwait's efforts to develop infrastructure in the air transport sector. He pointed out that it is expected that an investment of USD 20 billion would be coming in the next 10 years to develop and modernize civil aviation sector in Kuwait. He also said that in order to increase the capacity of Kuwait International Airport and to improve services provided to passengers, a new passenger Terminal 4 was opened. Leaders from airlines, manufacturers, investors, vendors, cargo, space industry, banking institutions and skill development agencies are also represented in the Summit.